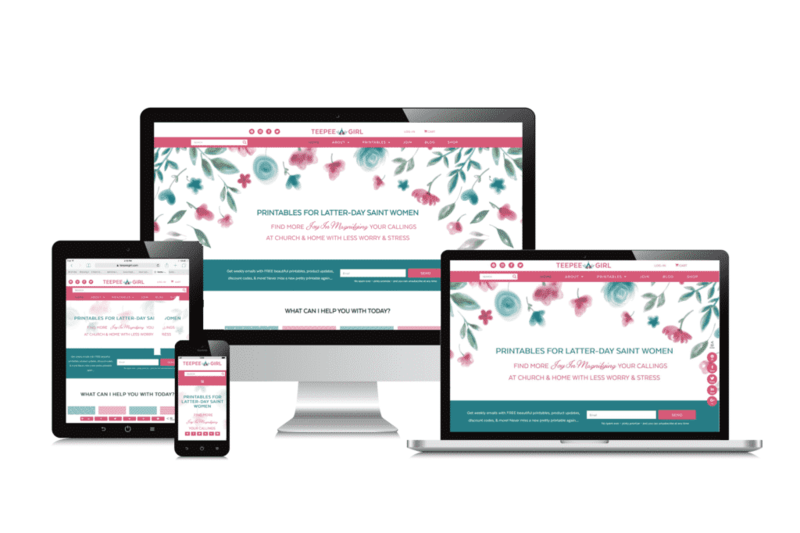 Chrissy from Teepee girl had 5 goals for her website re-design and we found fantastic solutions for each one. This was a website I designed in 2016 for my own personal preparedness blog. I sold this business in March 2018 and the new owners has changed up the design a bit (taken out a bunch of white space which drives me nuts, haha), but it is still an overall good representation of my skills. 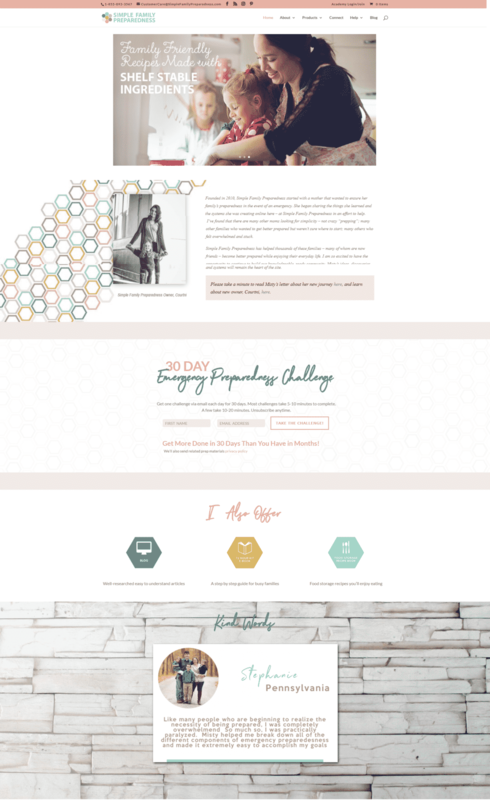 This was a sales page I created for Charisse of the Merrill Project. She had not gotten ANY sales of her custom food storage plans and wanted help. Shortly after launching this page she began getting sales! I created this homepage for Sheena. She had purchased a theme she loved the overall look of from 17th Avenue, but wanted to be able to tweak it a bit. Unfortunately, she would have needed to mess with the code in order to be able to edit it the way she wanted. So, I re-built the page for her and turned it into a drop and drop design she could edit and tweak as needed. This is the homepage of my current site! You can navigate around this site and view all the pages – I’ve designed each and every one and they can all be edited through a drag and drop interface. I would love to help you spread your own personal brand of goodness with the world!